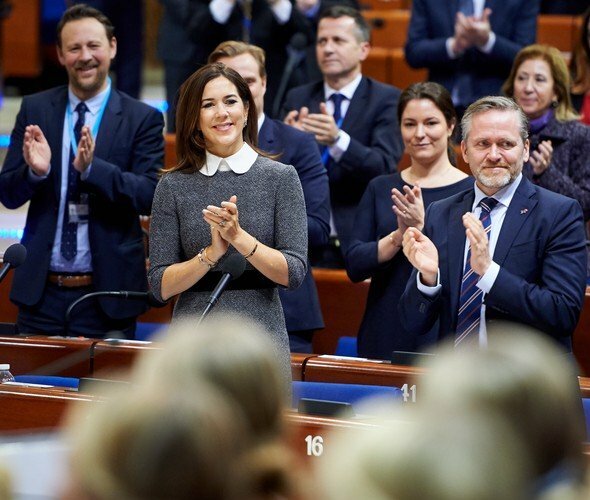 Yesterday evening, Crown Princess Mary attended a dinner with the Danish Ambassador and Permanent Representative at the Council of Europe headquarters in Strasbourg. 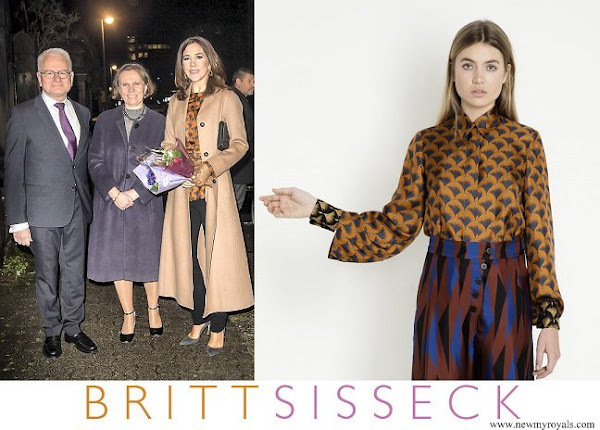 Crown Princess Mary wore a new Britt Sisseck blouse. 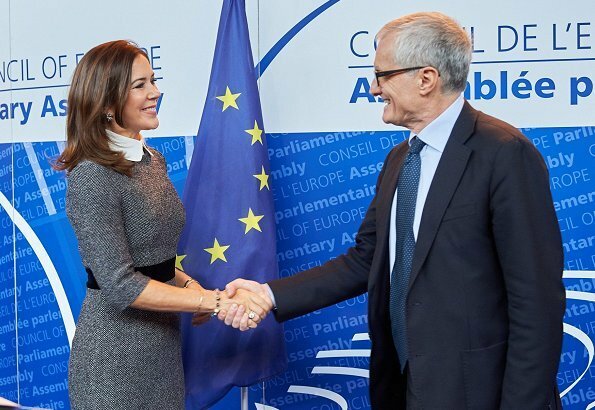 I like the dress, although I don't think grey is really her colour (I didn't like the coat yesterday). 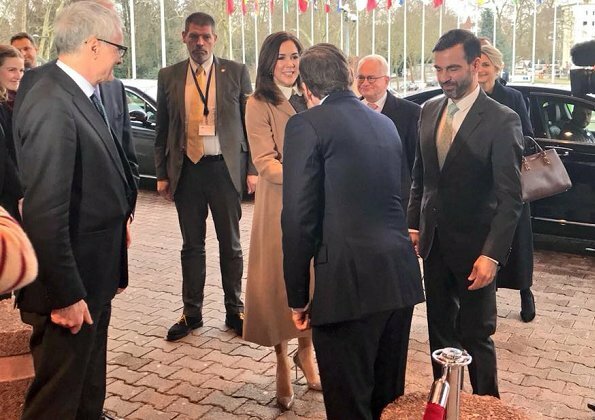 I think the dinner outfit looks a bit too casual, especially the (apparently) tight pants. 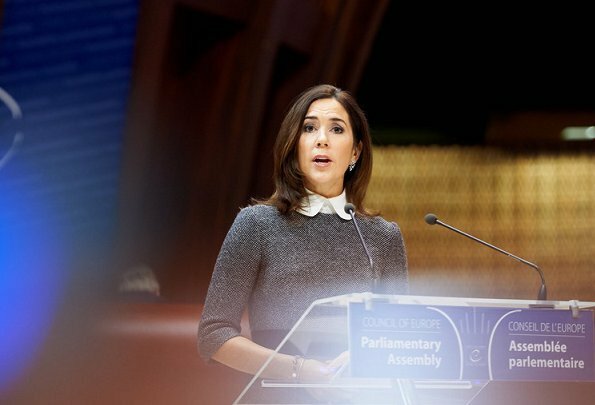 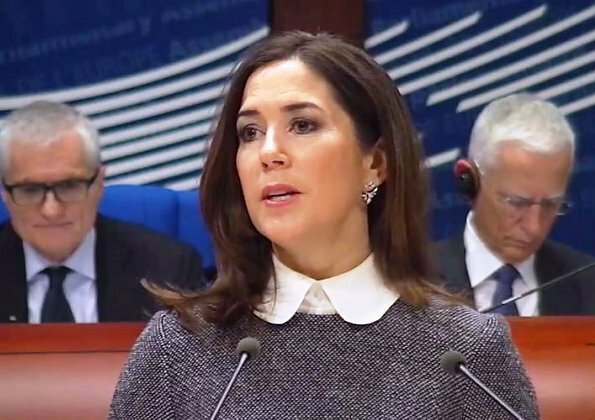 I am very impressed to know about a high awareness of human rights, democracy and rule of law principle of Princess Mary and see a very serious her face attending meetings of Parliamentary Assembly of the Council of Europe (PACE).